"There is no better place than Twitter to share, connect, collaborate, reflect, and ultimately improve your practice as an educator." Networking, connecting, and learning through edchats. 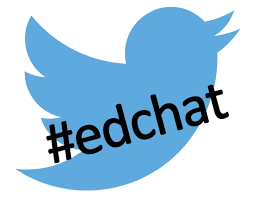 Included below is a list of edchats covering a range of topics, subjects and interests. Take a moment to find a chat that can help you grow your personal learning network. Share 3 Edchats that you will try out in the next month. 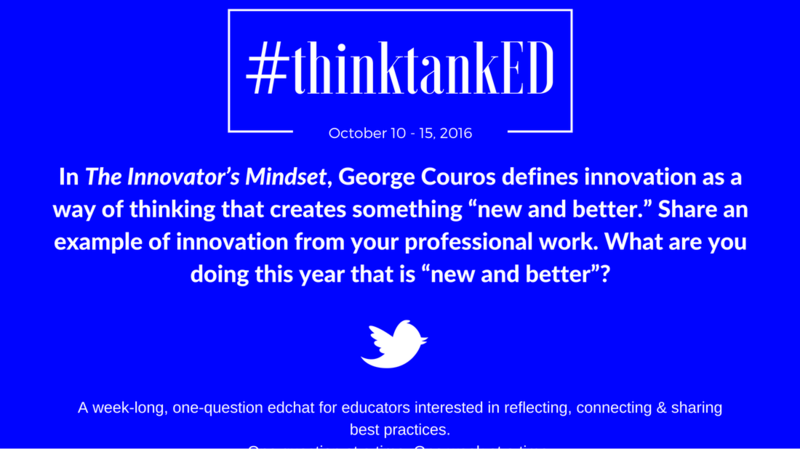 Getting started with edchats through #thinktankED. #thinktankED provides an easy access point for educators interested in using Twitter to grow professionally. Each week the chat uses Twitter to connect educators and help to grow personal learning networks (PLN). Through week-long conversations focused on a single question, educators have the chance to reflect on teaching and learning , share best practices, and build a powerful PLN. #thinktankED takes place each week of the school year. Chats begin on Saturday and run through Friday each week.